An incubator of scientific discovery, and a home to recipients of the Nobel Prize and Presidential Medal of Science, is seeking a Development Officer, Major Gifts to help build a fundraising program to support its scientific community. The Carnegie Institution for Science—better known today as Carnegie Science—is a unique institution that supports exceptional scientists tackling foundational questions. Carnegie Science is based on a powerful insight: while we often take the progress of science for granted, science is by definition an exploration of the unknown and requires a group of bold explorers to venture into uncharted territory. Andrew Carnegie recognized this fact over 100 years ago and created an institution that would support outstanding scientists driven by an entrepreneurial, risk-taking spirit. Carnegie’s scientific “experiment” has been a resounding success, and to this day Carnegie Science continues to support adventurous scientists striving to address the most pressing scientific questions. Carnegie Science seeks a Development Officer, Major Gifts to help build a fundraising program to support its scientific community. The Development Officer will collaborate with other development staff and institutional partners to help grow the culture of philanthropy across Carnegie Science and engage with Carnegie’s donors, prospects, and other stakeholders to expand the institution’s existing portfolio of donors. This work will play a key role in developing the pipeline of major and principal gifts. At least three to five years of experience in non-profit development; experience, or strong and genuine interest, in science is preferred. 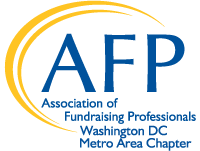 Demonstrated knowledge of how to build a major donor pipeline and implement best practices of donor stewardship. Record of securing gifts and pledges from major donors. Experience meeting the needs of stakeholders, both internal and external, and responding to them proactively. Comfort working in a fast-paced, flexible, collegial, goal-oriented and scientific environment. For more information or to apply, please visit http://www.driconsulting.com or email search@driconsulting.com.